In what could be a major blow for Adobe's Flash, it seems Microsoft is now distancing itself from the technology with claims that the Metro version of Internet Explorer 10 in Windows 8 will be a plug-in free experience. You'll still be able to view Flash and other plug-in content in Windows 8, but you'll have to switch to the classic Windows desktop in order to see it. "For the web to move forward and for consumers to get the most out of touch-first browsing, the Metro style browser in Windows 8 is as HTML5-only as possible, and plug-in free," said Dean Hachamovtich, who leads Microsoft's IE team, on a blog post. "The experience that plug-ins provide today is not a good match with Metro style browsing and the modern HTML5 web." Hachamovitch says that IE 10 without the excess baggage of plug-ins improves battery life as well as security, reliability and privacy for consumers. His reasoning is similar to Steve Jobs' open letter criticizing Flash where he said that the mobile era is about low power devices, touch interfaces, and open web standards. 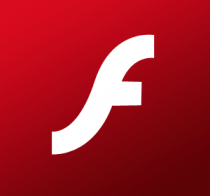 Microsoft's decision came after examining 97,000 web sites, and discovering that 62% of them use Flash, but many of those need it only to display ads and a large number of them fall back to HTML5 if Flash is not supported. YouTube is one example of this and many others have followed suit thanks in part to the huge popularity of iOS. Interestingly, Microsoft didn't say anything about Silverlight support but we assume it will also be limited to the desktop version of IE. It's not all doom and gloom for Adobe yet; even though the Metro-style interface will be the first thing users see when they fire up Windows 8, we assume a lot of them will stick with the traditional desktop when working on their laptops and desktops. But it's still interesting to see the dominant OS maker challenging the relevance of Flash on the web.